With a new school year starting up, there was one change to the administrative offices. With Jill LeCompte retiring this year from her role as assistance superintendent, the Board of Education opted to split her position into two roles. Eric White and Traci Mitchell are taking over those duties in the new school year. Mitchell and White are the school’s new co-directors of learning. Superintendent Dr. Richard Asbill said the decision came after researching the options for how to best support the school. “The Board and I had discussed the need to look at how we were addressing district and building-level goals and improvement efforts. I took some time to look at other districts and how they approached the teaching and learning focus and how we could best serve our principals, teachers and students,” Asbill said. White was already employed by the Cassville district as intermediate principal. Mitchell was the junior/high school principal at Wheaton Schools prior to joining the Cassville staff on July 1. Asbill said that Mitchell and White were two of 28 applicants who applied for the positions. Ultimately, they were selected. “Both Eric and Traci brought experience and knowledge that we felt was important to the new positions and goals we had for the positions. In some ways Eric brought a base knowledge of where we have been based on his current experience with the District and Traci brought a new view of our District goals. However, both Eric and Traci know and understand Barry County and our efforts to help not only our School District improve but also when we succeed that our community and economic community will be improved,” Asbill shared. Moving forward, Mitchell and White’s duties will include supporting principals and students, while moving the district forward with its goals. Asbill said part of that is to evaluate what the school is doing well, where improvements need to be made, taking care of managing State and Federal programs and also another focus: how the district can be a driver for community and economic development. Mitchell is a Wheaton High School graduate. She received a bachelors in accounting from Missouri Southwest State University in 1992 and her teaching certification in 2007, also from MSSU. She has a masters in education administration from Liberty University and a special education administration degree from William Woods University. She is also pursing a specialist and doctorate in educational leadership from Southwest Baptist University and expects to graduate in May 2020. Mitchell served as a sixth grade teacher, special services director and, eventually, the junior/high school principal at Wheaton Schools for the last eight years. 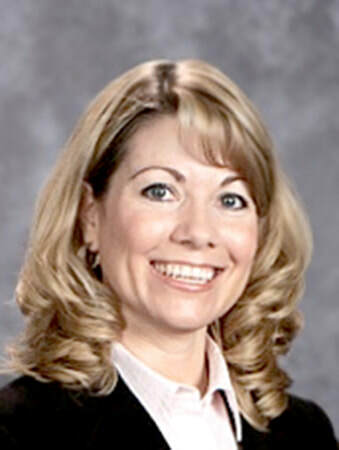 Prior to that, she worked in the Southwest and Pierce City School districts. She has been married to her husband, Scott, for 29 years. They have four children together. White is an East Newton High School graduate. He received a bachelors in education from Missouri Southern State University in 1994. He also has a masters in educational administration from Emporia State University and an specialist in educational administration from William Woods University. White has been with Cassville Schools for 16 years. Most recently, he served as the intermediate school principal. He also taught high school math and high school physical education before transitioning to middle school assistant principal before becoming middle school principal. He taught at East Newton and Purdy Schools before coming to Cassville. White and his wife, Amy, have been married for 26 years. They have two sons who graduated from Cassville.